Sabrina finds it difficult to work on her latest suspense novel when her Aunt Rowe's antics keep tying up her thoughts. This time Rowe and her fun-loving friends have decided to compete in the upcoming Texas Hill Country Senior Pro Rodeo. The problem is these women have little to no experience with lassos, bulls, or even horseback riding. Before Sabrina can keep the stubborn seniors from mounting their steeds, she's sidetracked by a bigger problem. 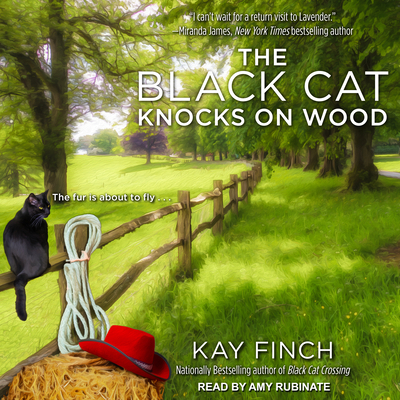 An uppity local business owner is found dead in an accident-right after a black cat was seen in her office. While the townsfolk think the bad luck cat has struck again, Sabrina suspects there might be something more murderous afoot. With a twisted killer on the loose, she'll have to round up clues quickly before she or her aunt are steered straight into the path of danger . . .